NEW Customers can now pay their Cabulance bill through our convenient online portal. Tri-Med Ambulance serves the Puget Sound with highly-trained emergency medical services personnel, specialized vehicles, and sophisticated medical technology, providing quality Basic Life Support, Bariatric, Critical Care and Wheelchair transportation. Providing 9-1-1 prehospital care and transportation, non-emergency medical transportation, and basic life support service. Providing clinically sophisticated advanced life support ambulance transfers with a Critical Care Transport Nurse onboard. Providing comfortable and safe wheelchair accessible transportation for medical treatment and doctor visits. Tri-Med Ambulance serves King County and the greater Seattle area. With headquarters located in Kent, Washington, Tri-Med is fulfills its mission to providing dependable medical transportation services to communities throughout the western region. Tri-Med was founded in 1995 to provide shorter response times and compassionate care to ensure the well-being of our community. Quality employees, compassionate care, unparalleled service. Tri-Med Ambulance crews deliver skilled pre-hospital care with safety and efficiency. We accomplish this by conducting comprehensive training classes and field exercises, promoting personal integrity, and maintaining an active role in our communities. 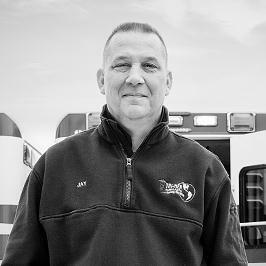 Our compassionate care is unmatched, making us the preferred provider of BLS and Critical Care Transportation in King County. I would like to take this opportunity to recommend Tri-Med Ambulance and Cabulance services. Tri-Med has a reputation for the following attributes: excellent customer service, responsive to the needs of both patients and providers, reliable and timely transports provided, staff are positive and helpful, staff are professional and knowledgeable.